If you are a trustee, an executor, or a relative of someone who has passed away, the death raises legal issues for you. At the same time as you are forced to cope with the grief of a loved one’s passing, you are also going to have to address those legal issues and fulfill your legal responsibilities. 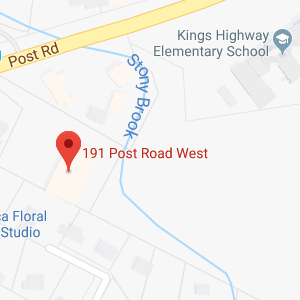 What is trust administration in Connecticut? How does the Connecticut probate process work? How can a Connecticut trust administration & probate lawyer help you? Trust administration in Connecticut is the process of managing a trust after the creator of that trust has passed away. The trustee has responsibility for administering the trust. The specific process is going to vary depending upon the type of trust that was created, as well as the instructions provided by the settlor. For example, if the trust requires assets to be doled out upon specific future conditions being met, the trustee will continue to manage assets for beneficiaries and will pay out the money in the future. However, if the trust is simply intended to facilitate the transfer of assets outside of probate and beneficiaries stand to inherit immediately, the trustee must oversee the process of transferring property to new owners. Trustees have a fiduciary responsibility to beneficiaries to carry out the trust administration process in full accordance with the law and with the wishes of the deceased. Assets must be properly managed, appropriately titled after the death, and distributed to beneficiaries. Nirenstein, Horowitz & Associates P.C. provides representation to trustees who need assistance with their trust administration responsibilities, as well as to beneficiaries who want to make sure the trustee is doing his or her duty. The probate process is the most common method by which property is transferred after a death in Connecticut. While property owned in trust can sometimes be transferred outside of the probate process, probate is necessary after virtually every death unless the deceased has engaged in extensive estate planning to avoid it. Probate begins when the executor of a Will files appropriate paperwork in probate court. If there is no executor named, if the executor cannot take on the responsibility, or if there is no will, then the court may appoint an administrator. All Wills in Connecticut must be filed with the probate court. It is the job of the executor or administrator to protect and manage assets and to navigate through the probate process. The process involves validating a Will and providing appropriate notice of the death to creditors. There is time for claims to be made and for anyone to raise issues with the validity of the Will. In some cases, the property of the deceased is formally valued to determine its worth. Estate taxes may be assessed, but only on larger estates. Finally, the assets are transferred to heirs according to instructions on how those assets should be distributed. Nirenstein, Horowitz & Associates P.C. provides representation to executors and administrators. It can be a challenge to understand how to file paperwork and fulfill all of the responsibilities after a death, but our Connecticut probate lawyers make sure that the instructions of the deceased are carried out in accordance with the law. Sometimes, potential heirs or family members also need representation, either because they are concerned about whether the executor is fulfilling his duties or because they want to challenge the validity of a Will. Nirenstein, Horowitz & Associates P.C. also represents loved ones of the deceased and provides assistance in their quest to make sure that the probate process proceeds fairly and appropriately. How Can a Connecticut Probate & Trust Administration Lawyer Help? Nirenstein, Horowitz & Associates P.C. attorneys have decades of collective experience with the Connecticut probate process and with administrations of trusts. Our legal team is here to provide you with assistance through probate proceedings and trust administration after a death. At this difficult time in your life, be sure you have a knowledgeable advocate on your side. 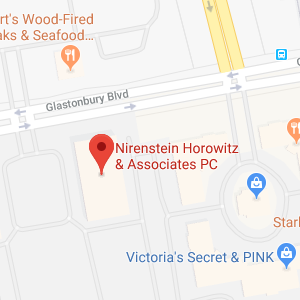 Give Nirenstein, Horowitz & Associates P.C. a call at (860) 548-1000 today so we can help.